The severe hunger and malnutrition that many Indigenous children suffered at Canadian residential schools have contributed to Indigenous peoples’ elevated risk of obesity and diabetes, according to University of Toronto public health and anthropology researchers. “Hunger has always been central to survivors’ accounts of their residential school experiences, and we strongly believe that this testimony must be taken more seriously by researchers and medical practitioners,” said Ian Mosby, a food historian who is an adjunct lecturer at the Dalla Lana School of Public Health. Mosby and Tracey Galloway, an assistant professor of anthropology, at U of T Mississauga, published their findings in the Canadian Medical Association Journal. 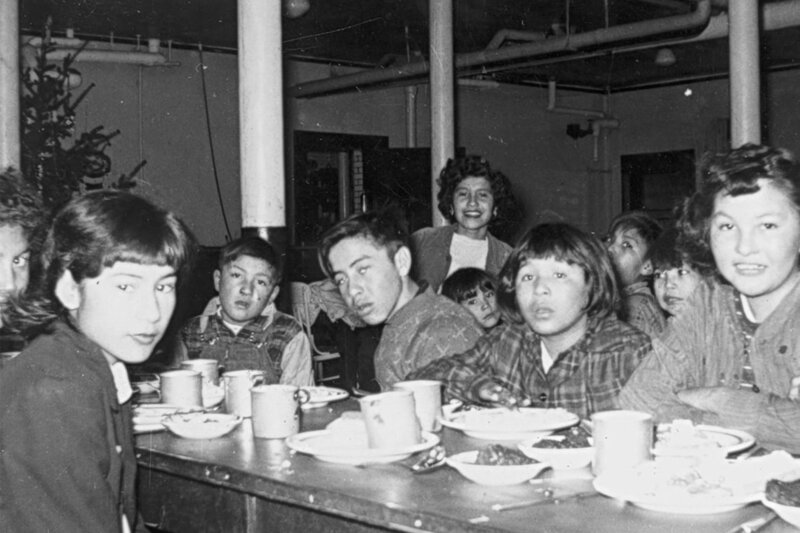 They found that for most of the history of the residential school system, Indigenous children were fed poor quality, often rotting food. Based on survivor testimony, they estimate that the typical diet described by survivors delivered, on average 1,000 to 1,450 calories a day, with moderately active children requiring between 1,400 and 3,200 calories a day. “We can now be fairly certain that the elevated risk of obesity, early-onset insulin resistance and diabetes observed among Indigenous peoples in Canada arises, in part at least, from the prolonged malnutrition experience by many residential school survivors,” said Galloway. A lack of calories causes height stunting and a tendency to put on fat when calories are available, predisposing children to obesity, insulin-resistance and Type 2 diabetes. Improper nutrition also has reproductive effects, such as a higher risk of stillbirths, premature births and growth issues for babies. “The possibility that generations of health practitioners and researchers may have overlooked childhood malnutrition in residential schools as one of the most significant factors influencing Indigenous health in Canada should be a call to action,” Mosby and Galloway write. They urge health-care practitioners to include more community-driven and culturally appropriate approaches that recognize trauma, to help residential school survivors and their families, and to ensure current and future generations of Indigenous children have access to nutritious and healthy traditional foods. Associate Professor Suzanne Stewart, director of Dalla Lana's Waakebiness-Bryce Institute for Indigenous Health, agrees this research should be a call to action. “Indigenous knowledges and research methods must be part of solutions to improve outcomes and close the gap in the health of Indigenous and non-Indigenous people,” said Stewart.